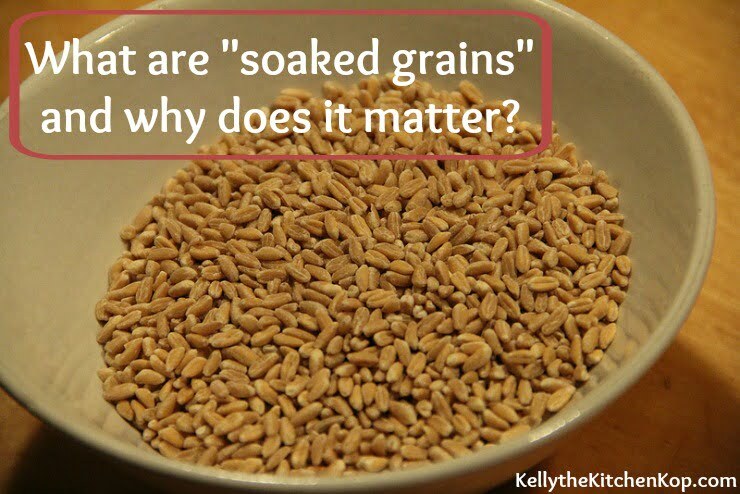 What are “soaked grains” and why does it matter? So far I've written not only about the importance of getting alternative grains into your diet, and about why you might want to limit your grains, but I've also touched on the fact that we should try to eat properly prepared grains, so today I'm sharing more about “soaked grains”. Properly prepared grains include sourdough breads (which I have bombed a few times on already) or grains that have been fermented, sprouted, or “soaked”. Many of you are probably like I was, and have no idea what I'm even talking about, or have never heard of this traditional and more nutritious way to include grains into your diet. Traditional cultures have used proper preparation techniques for their grain, nuts and seeds for centuries. In Nourishing Traditions it says that some grains were sprouted just from the way it was weathered in the field before threshing. I've explained the “HOW” in various recipes here at my blog, like my homemade soaked bread recipe (more recipes are linked below), but I haven't yet gone into detail yet about WHY this is important. Another one: Do we really need to soak our grains? Is physic acid ever beneficial? One more, a more detailed article on properly preparing grains. When it comes to using flour in recipes, soaking grains is only necessary when using whole grains, as the phytates are found in the bran, which is taken out of white flour. (This also takes out the other most nutritious parts of whole grains, too, though.) Because of this I'll sometimes use all-purpose einkorn flour in my baked goods instead of whole grains, or at least half all-purpose and half whole wheat, because soaking grains for baked goods is tricky. I've read many reports about people with gluten or wheat allergies who have no problems digesting soaked grains or alternative grains besides wheat, interesting huh? Also, some who have trouble digesting grain have been able to eat Einkorn with no problem, read what einkorn is and why it's better: Could THIS be the answer to the gluten sensitivity epidemic? If you have begun using soaked grains in your recipes, let us know how it's going, and how difficult was it for you to start implementing this? For me it has been a very slow process, because early on it seemed like everything I tried tasted too sour or it flopped all together. With practice, and some trial and error, it has gotten easier, check out my recipes below and I'll keep sharing as I learn more. Let me know how it goes as you get started with this concept! Do we really need to soak our grains? 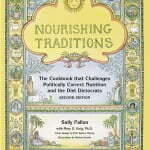 To soak your flour in dairy or not to soak your flour in dairy, THAT is the question. Blender batter waffles/pancakes using 100% soaked whole grains, they're so good! I remember that we used to soak rolled oats overnight before making the porridge – the result was the most creamy, smooth and tasty breakfast. I’m not even sure that you can buy ‘rolled oats’ that haven’t been altered these days! I believe it was the overnight soaking that made them so creamy, and digestible. What I meant in my comment earlier was whether sour cream could be used as the acid medium to soak with the whole grains. Would like to check if I can use sour cream as the soaking medium for whole grains (eg oats, wheat etc). Don’t do it! You’ll ruin your other appliances if you try to grind your wheat in there. Sorry, but you need a grinder. There you will find MANY good links to different posts JUST on eating frugally, and I’ll bet there will be some info specific to stretching your meat dollars. If you do find anything to help you specifically with your meat question, will you post it back here in the comments? Isluci I’m out of lgeaue here. Too much brain power on display! Ok, I am venturing into properly prepared grains, and I enjoy them in as much moderation as possible, but one thing that really makes it hard to get away from things like “soaked” oats in the morning, lentils at lunch or PBJ on something like ezekiel bread, barley or rice in soups, is that I need budget stretchers. More meat and fresh veggies = higher cost. My husband and I are living in socal on only 42,000 dollars a year for reasons I won’t go into, and struggling financially. Neither of us are over weight and we don’t really have to “try” and lose weight, but I would love to learn how to incorporate more meat in a thrifty way. I make my own chicken stock, which is “supposed” to stretch your meat further for soups and such, but any other suggestions would be great. I am really picky about the meat coming from free range, grass fed, and organic sources, which only makes the price higher… sigh. Are there cheap cuts of meat, that can be prepared in tasty ways? I’m trying to learn. Thanks for any ideas or tips. Duh! I just found out why “comments” wasn’t showing up here – I had accidentally clicked comments off for this post – sorry everyone! !